One of the most visited tourist sites in India and the second largest city of Karnataka, after Bangalore, Mysore is the Garden City or the City of Palaces of India, for the abundance of the gardens and palaces that it embraces within its periphery. The city has been ruled by several Dynasties and emperors, namely the Ganga Dynasty rulers, Cholas, Hoysalas, Yadu Dynasty Kings and Tipu Sultan. The mythological connect with the state is that the place is named after the demon Mahishasur who ruled the city and was later killed by Goddess Chamundi, a reincarnation of Goddess Parvati, who then resided in the Chamundi Hills, which has become an important place of worship in Mysore for this reason. Location : Mysore is situated in the southern part of Deccan plateau in the southern state of the country, Karnataka. It is around 140 km from the state capital Bangalore. Climate : Climate in Mysore is pleasant throughout the year with temperature ranging from 15 degree Celsius to 25 degree Celsius. 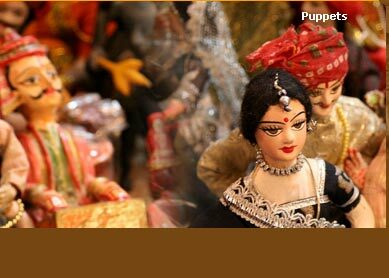 Known For : Palaces, Chamundi temple, scenic environs, silk and handicraft items. 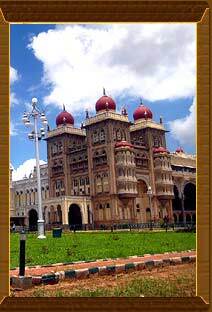 Mysore Palace :Though the city is adorned by several palaces built by various Emperors, the Mysore Palace or the Amba Vilas Palace is the most remarkable of all with several attractions to view within its complex. The breathtaking view of its illuminated facade with a moonlit sky behind it, gives the impression that the Palace is the dazzling crown on Mysore. The Palace consists of several temples belonging to fourteenth to twentieth Century. It also houses the Diwan-e-Aam and the Diwan-e-Khaas. The architecture of the palace is amazing, with amix of Dravidian, Oriental and Roman influence. Chamundeshwari Temple :Located on the Chamudi Hill, the temple connects the people of Mysore to the significant mythological connect of the place. The old temple has been renovated and made accessible in the seventeenth and the nineteenth Century. The prime deity worshipped here is Goddess Chamundeshwari, an incarnation of Goddess Durga, who killed demon Mahishasura and saved the place from distruction. Statues of Nandi Bull and Mahishasur, shrines and carvings on the walls make this temple one of the oldest architectural possession of the city. Varahaswami Temple :Representing the Hoysala Dynasty through its design and concept, this temple was later destroyed by Tipu Sultan. Brindavan Gardens :A spectacular view with colorful fountains, a huge area carpeted with grass and flower beds, Brindawan Garden gives a picturesque view to the travelers. The Brindawan Gardens are located at a distance of 12 km from Mysore, near the Krishnarajendra Dam, built by Shri Krishnaraja Wodeyar Bahadur. Lalitha Mahal Palace : Now converted into a royal hotel, this palace gives an excellent view of the city as it stands at an elevated part of the city. Dussehra : Dussehra is the main festival of Mysore and is eagerly awaited by the locals throughout the year. 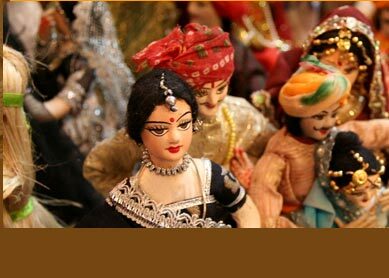 It is a ten-day festival, celebrated all over India in the month of October, has a special relevance for the city. Mysore transforms into a decorated bride during the auspicious occasion and is marked by feasting, traditional prayers and chants, vibrant traditional attires, plays or Ramlila, processions of gigantic elephants dressed to their best and carrying idol of Goddess Chamundi, the scene fills the air with a different kind of excitement and joy. Yugadi Festival : An age-old traditional festival, Yugadi, is celebrated strictly following the customs and rituals attached with it. It takes place in March end/April beginning to mark the Hindu New Year. The preparations start as soon as the month of March approaches and people start cleaning their houses and replacing old furniture and home accessories with new ones, symbolizing a new beginning. People meet their friends and relatives, pray for each others' wellness for the coming year and indulge in feasting. There is a special kind of zest and vigor among the locals which is reflected in their smiles. Sandalwood Carvings And Silk Sarees : Dhanvantri Road, Ashoka Road, KR Circle, Manandavadi Road and Devaraj Urs Road are the best areas to shop for Mysore specialties that you won't find anywhere else in the world. These include the best quality Mysore Silk saree, sandalwood and rosewood items, ancient paintings and stone carvings. Planet X : The Best Recreation Point In Mysore Is Planet X, A Fun Park At Maharana Pratap Road That Offers Ultimate Enjoyment With Options Such As Bowling, Go-karting, Rides, Games, Rock Nights, Etc. Brindawan Gardens :Near the Krishna Sagar Dam, 20 km from Mysore, a sprawling and picturesque garden with lovely fountains and pools attracts tourists to have a view of it and experience the magic of greenery and serenity. The vibrant flower beds and colorful lighting at night transforms the whole garden into a scenery. Air : The nearest Airport is in Bangalore (139 km), which is an International Airport connecting it to major countries of the world. Rail :Mysore Railway Station connects the city to Bangalore and other import cities of the south. Road : Mysore is well connected with the cities of Karnataka with a good network of roads, especially the state highway that connects the city to Bangalore.